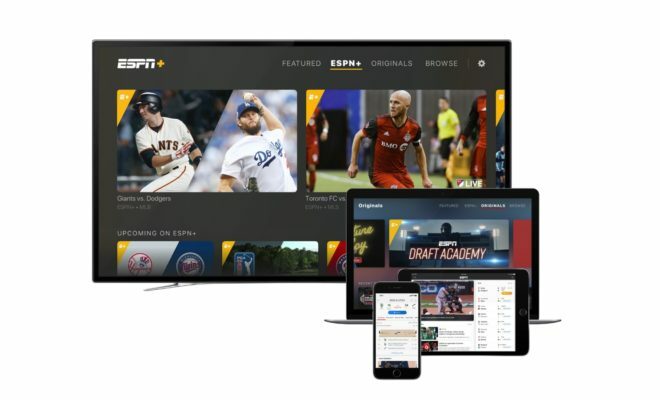 Disney’s new ESPN+ direct-to-consumer offering and new ESPN app have now gone live, with sponsorship from America Express and Audi respectively. 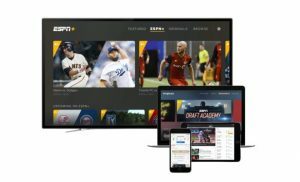 ESPN+ is available for a seven-day free trial in the US, followed by a subscription fee of US$4.99 a month or US$49.99 for a full year. The service is also available for an extended 30-day free trial backed by American Express for the first week of launch. The service offers HD streaming at 60fps, live pause, rewind and start and limited advertising, with no display ads and no pre-roll ads within video content, although ads remain in the advertising breaks of live sports content. ESPN+ will also offer Sports Marketplace, with additional premium services including MLB.TV and NHL.TV from the 2018-19 season, within the ESPN app. The app includes a personalised home page, access to scores, an integrated live and on-demand video experience including clips and highlights, and access to ESPN’s linear and digital channels for authenticated subscribers alongside ESPN+. It will also offer additional live and on-demand events and other archive content, including long-form background programmes. The app and ESPN+ will be available on Amazon, Apple and Google devices from launch, with more to follow. In addition to US baseball, ice-hockey, Major League Soccer and United Soccer League football, ESPN+ will offer college sports, PGA Tour golf, Grand Slam tennis, cricket, rugby, English Football League football and Canadian Football League football. “The launch of ESPN+ marks a new era of innovation for The Walt Disney Company, defined by a direct and personal relationship with our consumers. This product reflects our new direct-to-consumer strategy focused on combining our incomparable brands and unmatched content with industry-leading technology to give users an unparalleled digital experience. With Bamtech Media’s state-of-the-art video platform, ESPN+ delivers an incredible experience for fans with a rich slate of content only ESPN can deliver,” said Kevin Mayer, chairman, direct-to-consumer and international, The Walt Disney Company.